Having dispatched W.C. Fields, Mack Sennett, Cecil B. De Mille, Laurel and Hardy, and Mae West Simon Louvish has turned his attention to Charlie Chaplin. His latest book, just published, is Chaplin: The Tramp’s Odyssey is a socio-cultural biography of Chaplin, who as the years retreat becomes not so much an entertainer as the story of an entertainer, a twentieth-century everyman. So Louvish gives us Chaplin’s biography though the context of his times, and as metaphor through which to view those times. 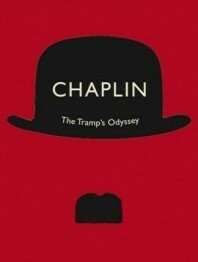 His interesting device is to name each of the chapters after one of Chaplin’s films, emphasising their biographical quality – The Immigrant, A Film Johnnie, The Adventurer, The Bond, The Gold Rush, City Lights, Limelight, and so on (Carl Davis’ programme of Chaplin films in 2007 arranged the Mutual films with similar biographical purpose). On quick inspection the conceit works well. It’s not a detailed biography (there are many, many nods to David Robinson’s towering Chaplin), but it’s subject is rather the film persona than the man himself. It encourages us to look again at the films for what they say about the man who was so key to his times, and that can only be a good thing.